There is a documented rise of antisemitism in the UK. As such, NGO Monitor has noted instances in which prominent UK charities that claim human rights agendas are instead promoting antisemitism. EAPPI is a program under the auspices of the World Council of Churches that sends volunteers to the West Bank to “witness life under occupation.” On their return, EAPPI dispatches these volunteers to promote anti-Israel BDS (boycott, divestment, and sanctions) campaigns and antisemitic agendas in their home countries. An EAPPI activist included antisemitic remarks during a May 2016 London event. At the event, the activist referred to the “Jewish lobby,” accused Israel of planting knives beside the bodies of Palestinian terrorists, and promoted BDS and other forms of demonization against Israel. EAPPI presents a one-sided Palestinian narrative of the Arab-Israeli conflict. Members of the organization participate in activities that commemorate the Palestinian “Nakba” (catastrophe) and promote the “right of return.” This is the equivalent to calling for the elimination of Israel as the nation-state of the Jewish people. In response to criticism regarding its politicized advocacy, EAPPI claims to have adjusted their program to include “Israeli voices.” In reality, these “voices” are none other than radical political NGOs that reinforce the EAPPI narrative. 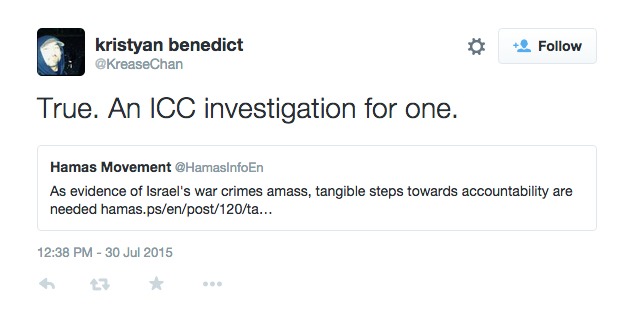 Amnesty UK has a significant anti-Israel and antisemitic record. AIUK’s refusal to condemn antisemitism is especially visible due to record high levels in Europe. 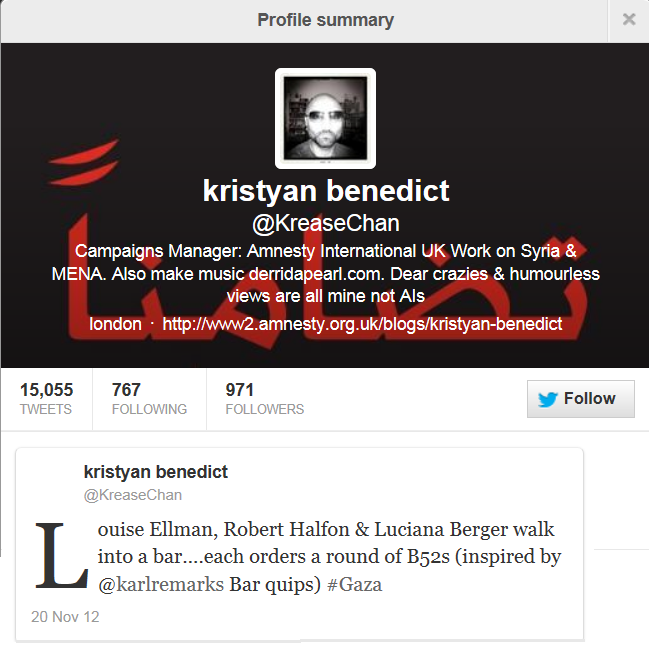 Kristyan Benedict, crisis response manager for AIUK, has a strong anti-Israel obsession, fueled by global conspiracy theories.